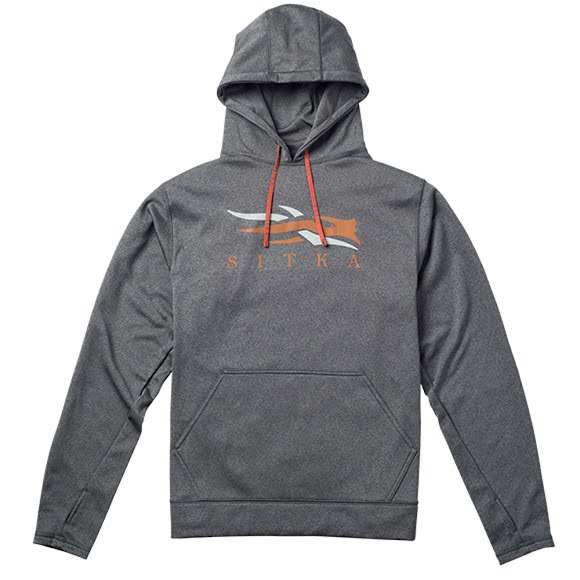 Sport this plush performance hoody around camp or after a hard day in the field, featuring a bold Sitka Gear logo up front and contrasting drawstring. The unique blend of synthetic and natural fibers in drirelease yarn actually accelerates the water release rate of our fabrics. Sport this plush performance hoody around camp or after a hard day in the field, featuring a bold Sitka Gear logo up front and contrasting drawstring. The unique blend of synthetic and natural fibers in drirelease yarn actually accelerates the water release rate of our fabrics. In fact, DR fabrics push water and perspiration to the outside of a garment - and into the air faster than other performance fabrics available on the market. The added boost of FreshGuard, embedded in all DR blends, delivers unmatched odor control.